How important is a review? 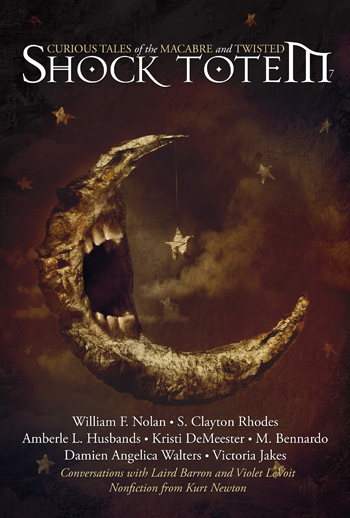 In today’s publishing world, especially on Amazon.com and its international sites, a good review (four or five stars) is worth quite a bit. Dozens of them are priceless. 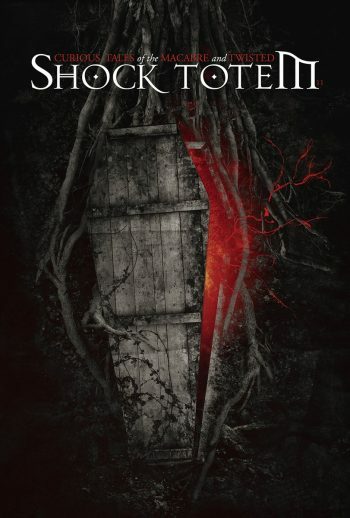 Shock Totem does most of its sales through Amazon, the bulk of which are digital sales. That’s a great thing, particularly for our authors. Readers are their lifeblood. Ours as well, but while readers keep us afloat on a pride level, we need revenue to sustain us for years to come. We’ve been around for five years and each of our issues costs around $1,500 to produce. They say most businesses take five years to become profitable. Thankfully, we’re almost to the point where we’re paying for each release with profit from sales. 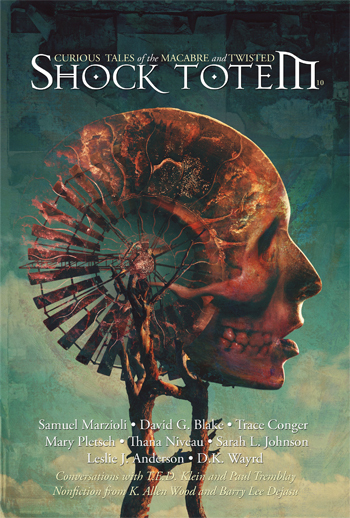 Our last issue, Shock Totem #7, cost $236 out of pocket, which is wonderful. We’d love to get to a point where we’re not only paying for issues with profit but also making money, enough to expand, raise our pay rate. And that’s why we still need your help. 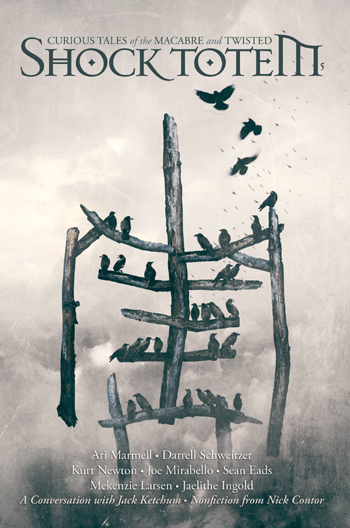 The debut issue of Shock Totem is our biggest seller. This is typical for every month. On Amazon, where it matters most, our debut has 28 reviews. 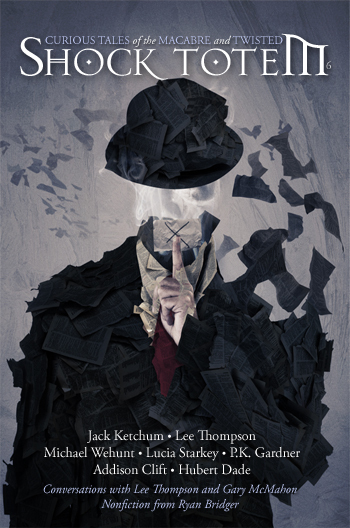 That’s eleven more than the closest second, which is issue #2, with 17 reviews. Our latest issue, however, has just two reviews. And we’re having a hell of a time getting review sites to respond to review requests these days. Not sure if there’s so much self-publishing going on that they’re overwhelmed with review material or if we’re so established they don’t think we need reviews; but whatever the reason, the reality is, we do need reviews. Why? Beside the obvious reasons, Amazon.com, where sales are highest, has a ranking algorithm (among other things) that helps authors and publishers sell books. One of the biggest theories, and it’s a good one, is that the more four- and five-star reviews a book has, the more it is shown to potential buyers. Again, our debut issue has nearly a dozen more reviews than any of our other issues and it’s our biggest seller. Signs point to Yes, the algorithm is real and that issue is being put in front of more potential readers than our other issues. So how can you help? By posting reviews of our work. They don’t have to be long or have literary flair; they just need to be honest. The more our sales increase, the longer we’ll be around. When so many publications are using Kickstarter to fund their projects, we’d like to earn people’s money. So if you’d be so kind, please consider reviewing anything of ours that you have read. We’d be very grateful. In parting, and this applies not only to our books but any book, please note the difference in ratings between sites. Three stars on Goodreads is not the same as three stars on Amazon. (There is another theory that any review given with less than four stars on Amazon seriously impacts a book’s rankings—kicks it right into the gutter, in fact. Again, this is a theory, but based on authors’ experience, it’s a good one.) For instance, a two-star review on Goodreads should be a three-star review on Amazon, as both mean it was “okay.” Therefore, a three-star review on Goodreads should be a four-star review on Amazon, which helps the author quite a deal more. Again, in theory. And finally, thank you! Five years strong. We’ve lost some staff along the way, but we’re still dedicated and committed to the long haul. It’s been a hell of a ride so far. Help us keep the wheels on! Artist Bryan Lewis Saunders takes several different kinds of drugs and then draws self-portraits. Drugs are bad, m’kay, but the results are interesting. I’m sorry, zombie friend, but I didn’t quite catch that. One of the funniest things I saw this week was a Bad Lip Reading of The Walking (and Talking) Dead. Zombies aren’t creepy. Children are creepy. Nothing exhibits this better than this very cool, very strange Reddit conversation about the creepiest thing your young child has ever said to you . And after you’ve been chilled by little Jimmy’s prophecy of your death, or sweet Molly’s insistence that SOMEBODY IS RIGHT BEHIND YOU, you can finish freaking yourself out by looking at these hyper-realistic dolls…of you. Knock yourselves dead, darlings. See something cool that should be in the roundup? Drop me an email, or leave a post on our forum. Let’s while away our time in the dark.